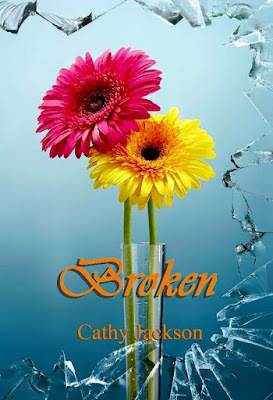 The third book in the 'bloom' series by Cathy Jackson continues following the Westerlings we have grown to know and love. But this time from the point of view of Evelyn...a good friend Pheonix met through the church group. We see the troubles of Evelyn who has been left by her ex with two young children and is back living with her parent whilst she finishes her nurse training. The magnetic draw I felt to the youngest and most dangerous Westerling was strong. It was seducing me, but I resisted it. Evelyn worked solidly between her parents, young children, friends and studying and future career. She truly was a brilliant woman who dealt with anything she had thrown at her but with her new found friendship with Pheonix and John, she felt truly settled after her treatment from her Ex. I may have lost a husband, but I gained a family. As Evelyn and Jonathon (Johnny) continues and we see the true depth of the family rift that seems so deep, Evelyn is kept in the dark as to the reasons surrounding them, but recognises that he needs them and by sheer determination does everything in her power to fix the Westerling brothers relationships and in turn help him. You don't think I know you are trying? .... I know you are. I know that underneath that self-assured, cocky, arrogant exterior is someone who is just wanting to be loved. Not by just anyone, but by your family. You just have to know that loving him is the hardest thing you will ever do in your life. He's not trustworthy and he has few redeeming qualities. He won't be dependable and you have to take him like he is. As the story develops and we see two men fighting for her affections, Evelyn knows what the 'right' thing to do is and who will protect her, but will her heart tell her different and to go with the man she knows will cause her more heartache? I admit I was a little disappointed at the ending of the story but we see Jonathan reaching out for his faith again despite all his past heartache and there are lots of avenues the story could take next so I am excited for the next installment. As ever another brilliant read by the talented Cathy Jackson. Get your copy of Broken here (UK) or here (US). Add to your Goodreads TBR here.